Hayabusa Japanese Legend Wrestler Died at the of age 47 : Eiji Ezaki was a Japanese professional wrestler better known as the masked Hayabusa, who worked primarily for Atsushi Onita’s Frontier Martial Arts Wrestling promotion. The pro wrestling world has suffered a great loss, as Eiji Ezaki, known to wrestling fans as Hayabusa has died at 47 years old. Reports emerged early Friday of the Japanese legend’s passing due to a subarachnoid hemorrhage. Tokyo Sports said that Ezaki was found dead on Thursday afternoon. 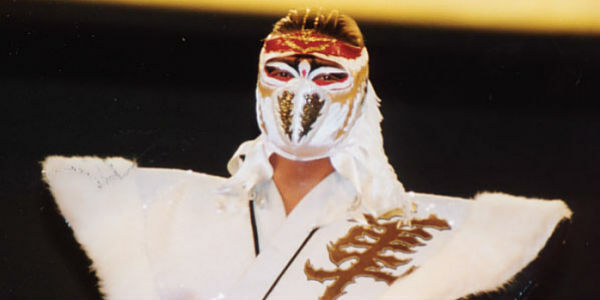 Ezaki adopted the Hayabusa gimmick in 1993 while in Mexico. While there, he learned the lucha libre style from wrestling instructor Rey Misterio, Sr.
Ezaki wrestled for the World Wrestling Association, Asistencia Asesoría y Administración, and Consejo Mundial de Lucha Libre during his time in Mexico. He then returned to Japan to face Jushin Thunder Liger in a well received first round match during the Super J Cup tournament. Hayabusa was one of the key cogs in FMW, and after his injury, the company withered away. In 2015, it was announced that the company would be revived, with Hayabusa/Ezaki serving as the Executive Producer.